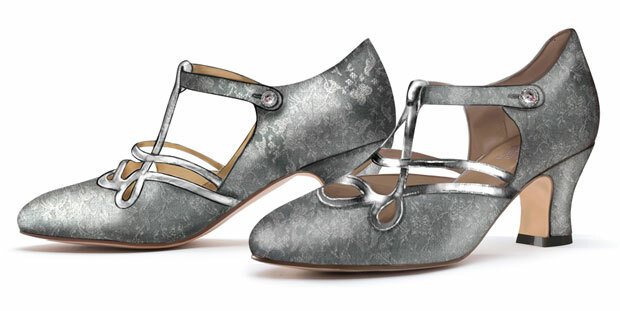 These days we modernes can be pretty reserved with our shoes, but back in the 1920s, the flashier the better. Legs were on show and dancing was all the rage, with bugle beads flying and shining footwear kicking furiously to the Charleston all night long. 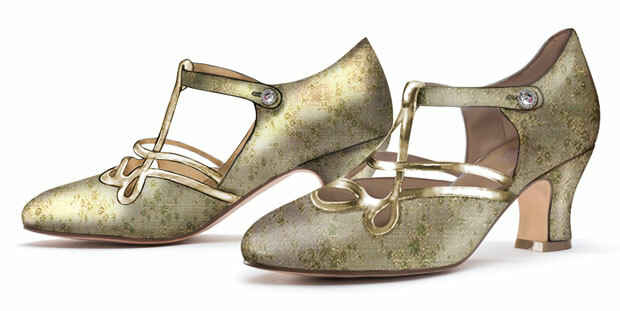 Dreaming of these wild Gatsby parties, I'm so pleased to introduce to you the next American Duchess Exclusive, "Cicero," the perfect strappy Jazz Age pumps, available in three popular colors: Citrine (gold), Onyx (black), and Sterling (silver) like the originals. They promise to be the most flamboyant shoes we've yet made, and will be extremely limited and unique. 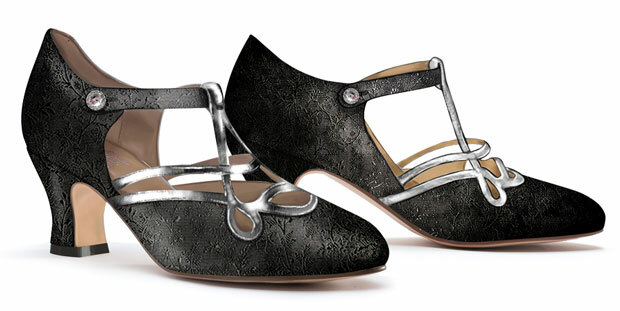 *Customers who order Cicero can return them for a refund or exchange them should they need a different size. Customers who exchange will retain their number (ex: 2/10), while the returned shoes will lose their number and be sold as dead stock. Returned shoes not exchanged will retain their number and be sold as dead stock. Exclusives sold as dead stock will never be discounted, but shoes returned with defects may be re-sold as Imperfects, un-numbered, at a discount.